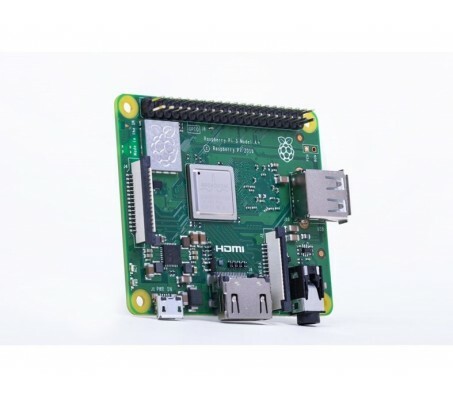 Description: The Raspberry Pi 3 Model A+ is the latest product in the Raspberry Pi 3 range. Like the Raspberry Pi 3 Model B+, it boasts a 64-bit quad core processor running at 1.4 GHz, dual-band 2.4 GHz and 5 GHz wireless LAN, and Bluetooth 4.2/BLE. The dual-band wireless LAN comes with modular compliance certification, allowing the board to be designed into end products with significantly reduced wireless LAN compliance testing, improving both cost and time to market. The Raspberry Pi 3 Model A+ has the same mechanical footprint as the Raspberry Pi 1 Model A+.